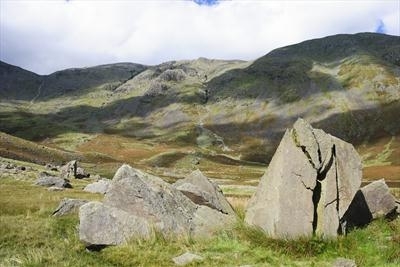 Jan Traylen: Mosedale Rocks: Landscape photographs in B&W and colour. Mosedale with Pillar in background. In The Lake District or Lakeland, Cumbria. Shadows of clouds play on the mountain sides. Cracked rocks litter the area.